One day Argolis tour starts with a 45-mile drive along the National highway to Peloponnese. 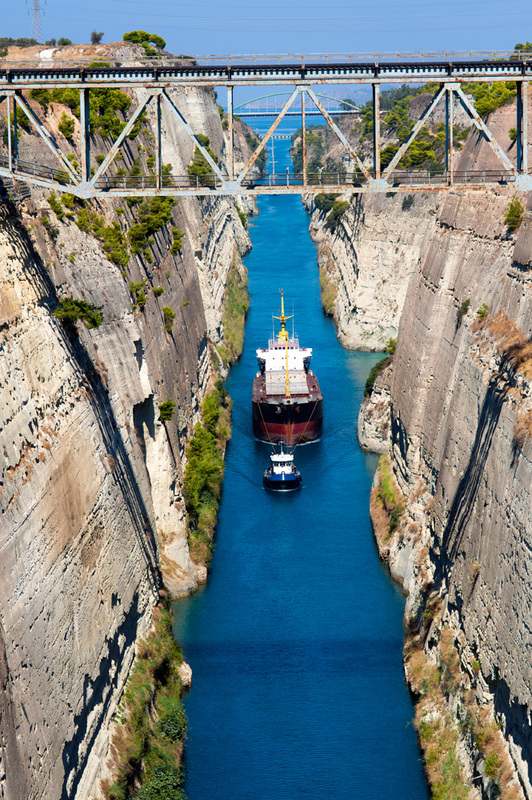 We reach the well-known Corinth Canal or else Isthmus of Corinth, that connects the Saronic Sea and the Corinthian Sea. 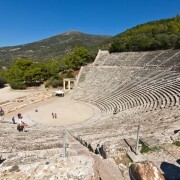 After a short stop of 20-30 minutes for pictures and coffee, we continue our tour with a 45-50 minute drive to ancient Epidaurus (3rd Century B.C), a spiritual place worth visiting for its sites, such as the Sanctuary of Asclepius and the ancient Theatre with its unique acoustics. 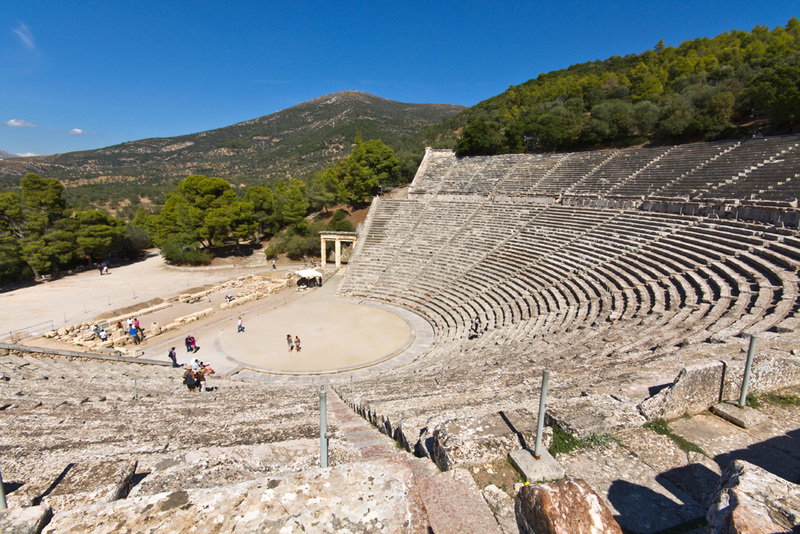 The Sanctuary of Asclepius was a healing and culture centre of ancient times and the Theatre of Epidaurus is one of the very few that retains its original circular Orchestra and it is a rare aesthetic sight, still used in our days. Leaving Epidaurus, we drive through olive and vineyards fields. We reach at an imposing site on the top of a rocky hill located in the north-east part of Peloponnese in Argolis, the ancient citadel of Mycenae. Mycenae was the centre of power in the Late Bronze age from 16th century B.C. to 11th century B.C. 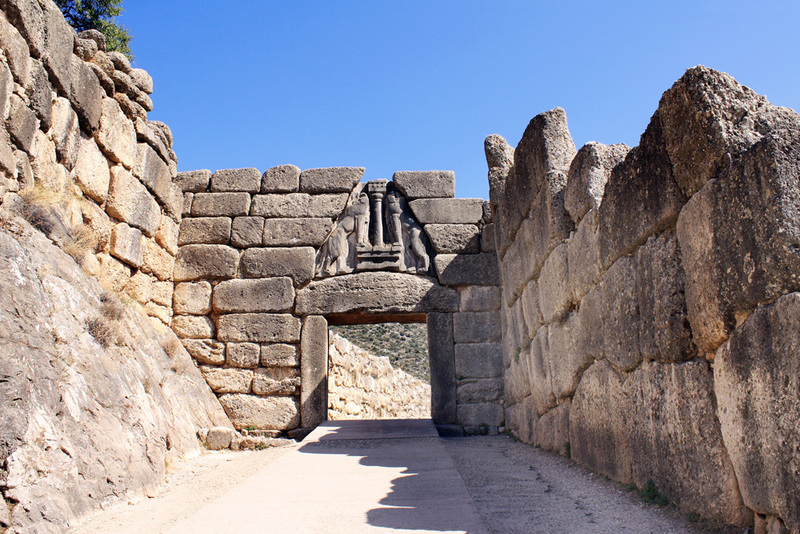 The Acropolis of Mycenae protected the royal families inside the famous Cyclopean walls. 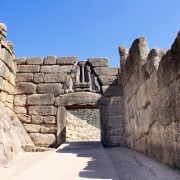 The Lion Gates, followed by a steep path through ancient buildings and pathways, will lead you to the Palace of the mighty leader of the Greeks against the Trojans, Agamemnon who was murdered by his wife Clytemnestra and her lover after he had returned victorious from the Trojan War. 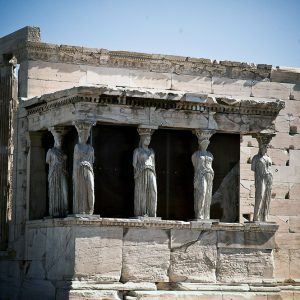 Leaving the Acropolis of Mycenae, we make a short stop on another hill opposite the Palace, visiting an impressive monument, the Treasury of Atreus also known as the Tomb of Agamemnon. We conclude our visit to Mycenae by having lunch at a local restaurant, enjoying the best of Greek traditional food. After lunch, we drive through orange and lemon tree fields of Argolis plain arriving at Nafplion, a picturesque seaport town near the north end of Argolis Gulf. 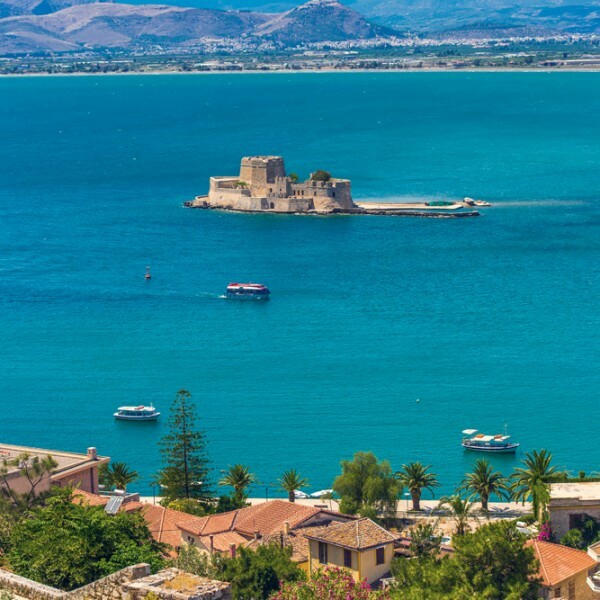 Nafplion became the first capital of modern Greece from 1829 to 1834 by Ioannis Kapodistrias, few years after the beginning of the Greek War of Independence (1821) against the Turkish custody. There you will have enough time (45-50 minutes) to walk around, take pictures or enjoy a cup of coffee. 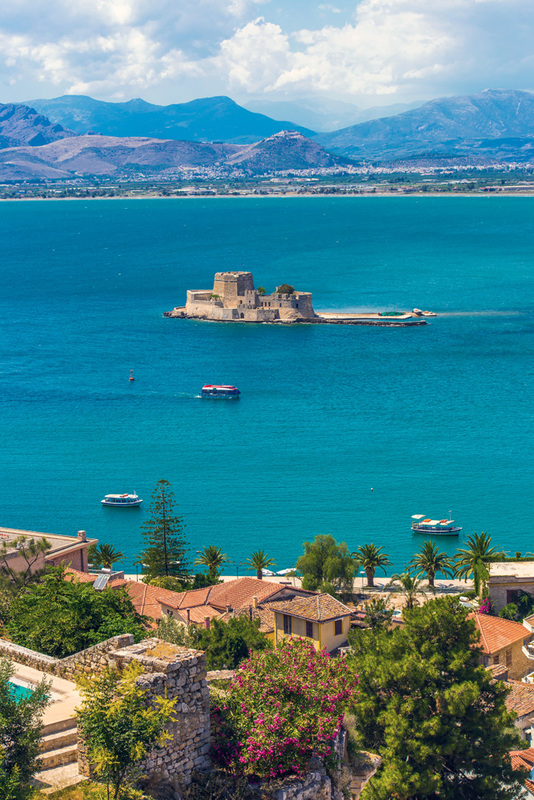 After our visit to Nafplion, we drive back to Athens through the scenic coastal road of the Saronic Gulf. All our tours are private and therefore flexible. It is always up to you to change the itinerary according to your wishes. Please also note that we can arrange a tour guide for you, upon request. Feel free to contact us for any additional requests. 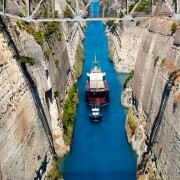 Travel Trans Athens offers private transfer services in Athens, Greece. Its experienced team can satisfy every personal request, travel requirement and budget, always with high professional standards and at the best prices. 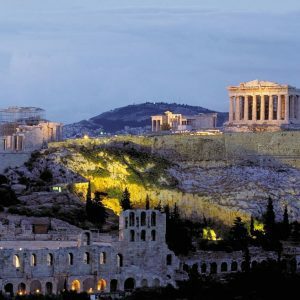 Follow Travel Trans Athens in social media. © 2016-18 Travel Trans Athens. All Rights Reserved.